Two teenage girls, both from Dorchester, were arrested after breaking into a Framingham apartment this past Sunday. 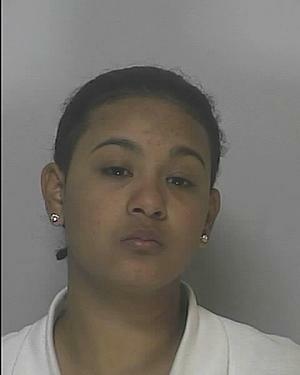 Luz Zapata, 18, along with a 14 year old juvenile girl, both allegedly admitted breaking into the Framingham apartment. Both girls were discovered to have broken into the apartment when one of the residents arrived. Zapata was allegedly found to be in the apartment, while the other girl was apparently acting as a lookout. When confronted, the two girls got into a taxi and left. The resident then then followed the taxi while calling the Framingham Police Department, and the police arrested the girls as they were found sitting in the taxi at a train station. Both girl initially denied stealing anything, but a later search revealed an iPod and charger that was reported missing from the apartment. Both girls were charged with Breaking & Entering in the Daytime With Intent to Commit a Felony and Larceny Over $250. Zapata was arraigned in Framingham District Cout and held on $500 cash bail. She also had an outstanding warrant against her person out of Boston Municipal Court. The 14 year old juvenile was arraigned in Framingham Juvenile Court. Boston Criminal Lawyer Lefteris K. Travayiakis is an experienced criminal attorney and defends those accused of all Theft Crimes, including Larceny Over $250 and Breaking and Entering.